pp corrugated plastic board colors PP hollow sheetsis an extruded twin wall polypropylene fluted plastic correx board consisting of two flat walls connected by vertical ribs. Offer Plastic Polypropylene PP Fluted Correx Board / Sheet is mainly manufactured from a high impact co-polymer polypropylene (PP) or polyethylene (PE) resin, which can be recycling,washable,durable and reuseable etc. 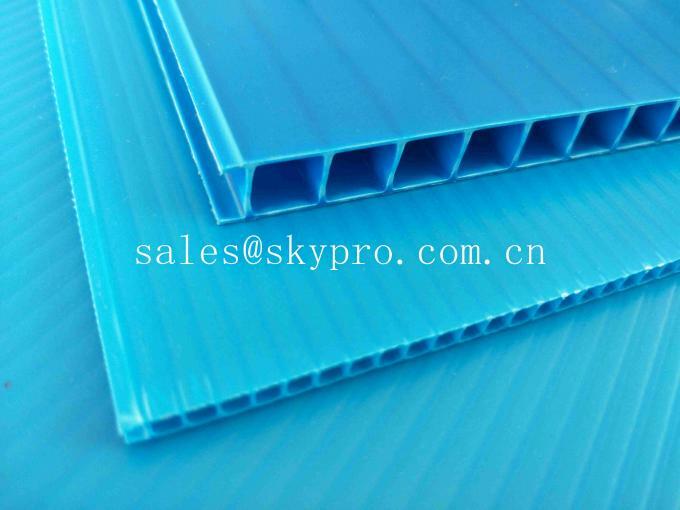 2-8mm Plastic Polypropylene PP Fluted Correx Board / Sheet / Box has proved that it is suitable in the uses of packaging, advertising, construction, agriculture, industry and Pharmaceutical etc. Introduction Hollow PP Sheet is a kind of environmental material, which is no pollution and recyclable, made of polypropylene (PP) and polyethylene (HDPE). Hollow PP Sheet is high transparency, light weight, anti-impact and waterproof, which is a kind of excellent packing material, widely used in advertisement printing, industrial packaging, and product protection industries. Features 1. Light weight and easy processed. 1)Packaging Material: Instead of the traditional packing material such as corrugated paper, wood board, etc. 2) Advertising Board: Through corona treatment, PP hollow sheet can be used as advertising board, show board, brand mark, light box board, etc. 3) Turnover box: For avoiding the damages from electrostatic, the conductive PP hollow sheet can be used as the container of electric parts, food, drink, etc. And it can be circle-used. 4) Construction Protection Board: Partition, protection board of flooring,wall,ceiling board, etc.